Greg Kroah-Hartman gets the pitch right in his Free Linux Driver Development blog entry. I'm pleased to see that OSDL is providing a legal structure to get all those pesky NDAs out of the way. Me, I get the Alice's Restaurant tune in my head. "And all you gotta do to join in is sing the song the next time it comes around on guitar". Some of us gotta eat, though, somehow. But I have to admit doing the tranzport driver has been the most fun programming I've had in a while. 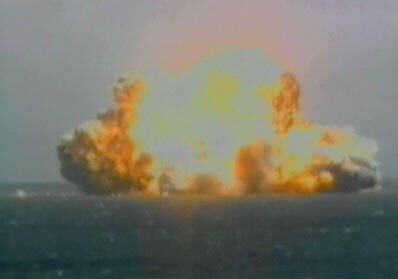 A Zenit-3SL rocket exploded during takeoff from the Sea Launch platform Tuesday. Their web site pitches the event as an "Anomaly"... well, it was a very large, black, fire filled smoking cloud worth of an anomaly! Hard to believe that the platform could survive such a thing. No need for me to blog more, the Nasa Spaceflight forum is all over it.